Backs can be confusing and, at times when painful, scary structures for some people. There’s lots of conflicting advice out there for what is best for your back – it’s no wonder people end up confused and resort to doing nothing, because there’s no clear information about what’s helpful. This article is predominantly aimed at people without pain who want to prevent back problems. It’s always worth seeing a Physio when you do have a problem for specific assessment of what is going on, treatment and if necessary referral to other specialists. However, much of the information here is relevant to rehab of back pain too. A healthy spine is maintained by an appropriate balance of activity and rest, mobility and stability, awareness of alignment, appropriate support when sitting and sleeping and good functional habits. I prefer to use the term alignment, rather than posture, as the term posture can give connotations of stiffness and stillness. Being aware of good alignment is about moving dynamically with body parts moving appropriately with each other and coming back to rest where joints are aligned well in relation to each other. Sometimes a person who has a history of pain or is currently in pain can become afraid of moving their spine. This is understandable when there is conflicting advice out there, or well-meaning friends and relatives encourage a person in pain to rest. However, the fear that causes avoidance of certain activities can in itself cause further pain. This is because the spine can then stiffen up which can be painful to move – it will ease off with a little gentle movement. A mobile spine which continues to move appropriately will have improved blood flow which keeps the structures nourished and healthy. Not to mention that it feels so much better. A good reason to move! Sometimes a person will build up a belief that their back is weak and must be protected. There is a small group of people who have poor control of their movements and will benefit from retraining their muscles and therefore how they move. However, the spine is a robust and incredibly strong structure and can be trusted. This fascinating video featuring spinal expert Professor Peter O’Sullivan goes into more depth about the current research on what is best for backs (you will need to turn the volume up to view). I once heard a biomechanical expert describe the spine as the driver for the legs when walking. 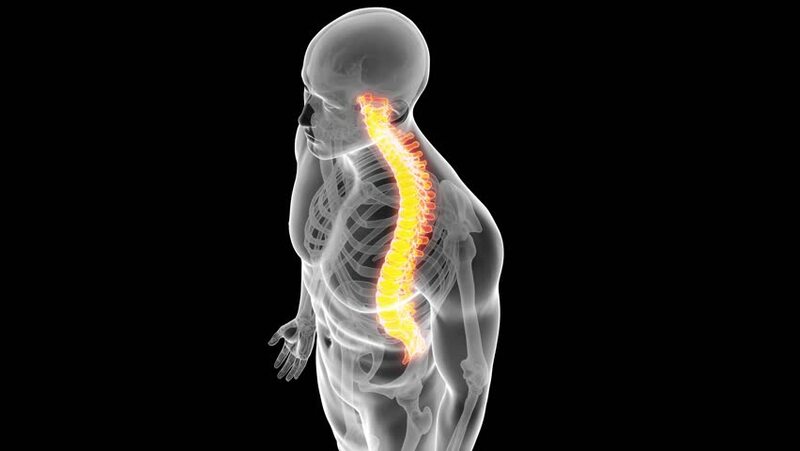 If you compare the human body to a car, the spine is the axle and the legs the wheels. I think most people would think of things the other way around – the legs move and the spine follows along. It’s interesting to think about it this way: your spine is right in the middle of everything and drives everything you do. Without good rotation of the spine, walking and all other functional tasks will be limited. Rotation is the first movement to decline as we age, therefore it is important to maintain mobility into this movement to be able to participate in life. You will have read lots in the press over the last couple of years about how awful sitting is for us and you may well be thinking that you need to sit maybe 40 hours a week at work. Is there any hope for me now? Well, a recent analysis of several studies has found that an hour’s exercise a day can counteract the harm done by sitting at a desk for eight hours. It doesn’t have to be high intensity – walking, cycling or a Pilates class will do. I know that might still sound like a lot, but it could be part of the commute – half an hour each way to work, or lots of it could be done in your lunch break. Cat stretch – to work on flexion and extension of the spine. Start on hands and knees. As you exhale, tuck the tailbone under and arch up through the spine, letting your head drop between your upper arms. Inhale and hold, see if you can stretch a little further. Exhale and release the tailbone, sticking your bottom up and letting the spine extend all the way up to the neck, letting your stomach drop towards the floor. Inhale and hold, try and stretch a little further. Repeat ten times. Thread the needle – to work on spinal rotation and power (with a resistance band). Half moons with resistance – to work on lateral flexion (side bending) of the spine. Stand with a ball or circle between your hands, holding it overhead. Press in on the ball and bend to the side, without letting the hips sway the opposite way, as you exhale. Think about getting length through the upper side of the body rather than compressing the lower side. Hold as you inhale and return to the centre. Repeat to the other side. Repeat 10 times to each side.